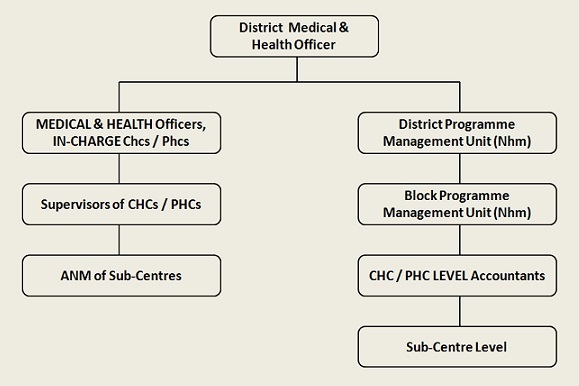 The District Medical and Health Office is responsible for maintaining and developing the health care system in the District and guiding and supervising the Health and Family Welfare Programmes in the District. The services offered by the department are Preventive Health Care Services, Promotive Health Care Services, Routine Curative Services, and Rehabilitation Services etc. The activities of the department include establishment and maintenance of medical institutions with necessary infrastructure, implementation of National Disease Control and Eradication Programmes, Control of communicable as well as non communicable diseases, etc.